Stop use and ask a doctor if scalp is inflamed, infected, irritated, redness or painful. â– Apply 3~5ml of this product ensuring even distribution and massage the scalp with your fingers for enough absorption. â– Do not need to wash out. 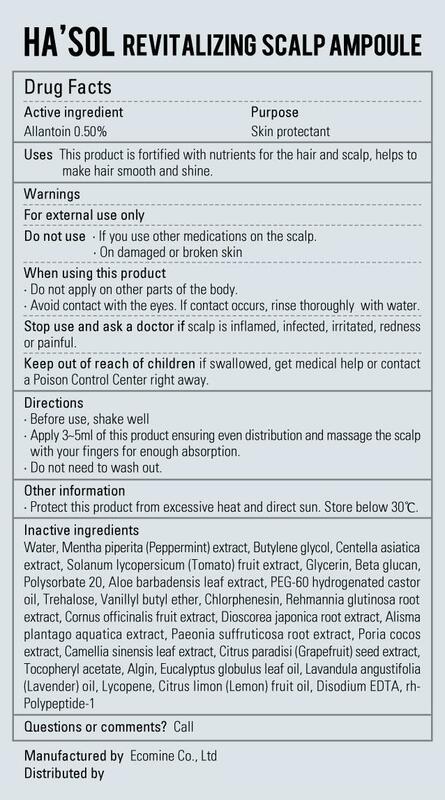 Do not use â– If you use other medications on the scalp. â– Avoid contact with the eyes. If contact occurs, rinse thoroughly with water. Uses â– This product is fortified with nutrients for the hair and scalp, helps to make hair smooth and shine.